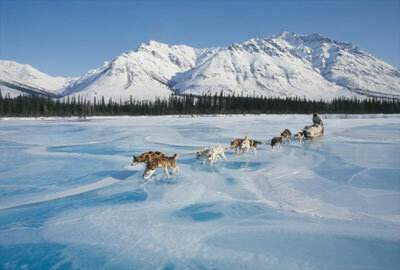 A dogsledder and his dogs glide through the Arctic National Park in Alaska. 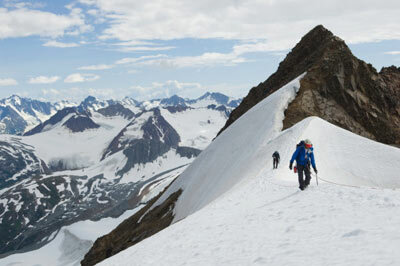 Two people hike on a glacier in the Chilkat Mountains in Alaska. 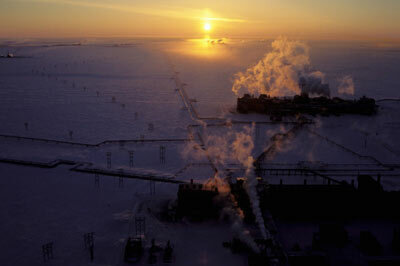 Frigid air boils a scorching exhaust from a north slope oil facility in Alaska. 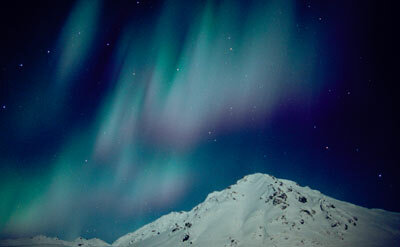 The Aurora Borealis (Northern Lights) hovers over winter's snow-covered mountains. 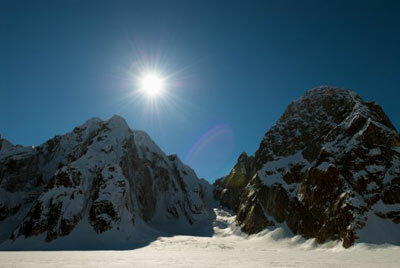 The sun peeks over Denali National Park's Mount McKinley in Alaska. 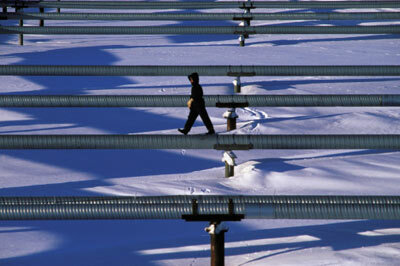 A worker walks on heating pipes at an oil processing plant near Prudhoe Bay, Alaska. 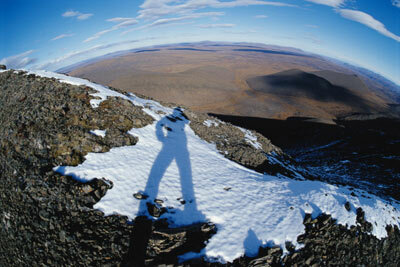 This hiker seems to be on top of the world in Alaska's Arctic Wildlife Refuge. 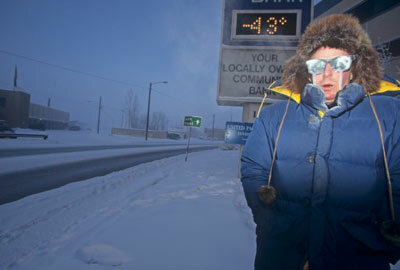 A visibly chilly man pauses under a thermometer registering 43 degrees below zero. 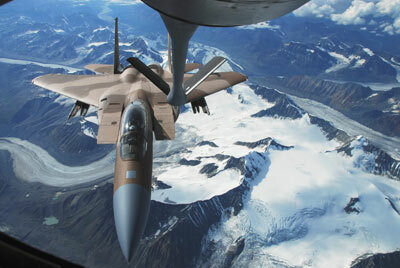 An F-15 Eagle aircraft from the 65th Aggressor Squadron flies over the Pacific Alaskan Range Complex. 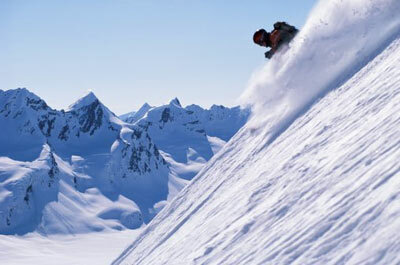 A woman skis in Valdez, Alaska. 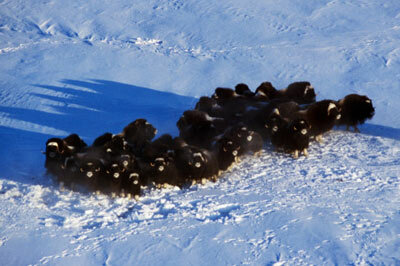 A group of musk ox huddle on the Arctic Slope. 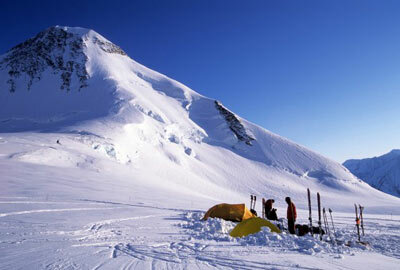 Campers settle on a glacier in Chugach National Park, Alaska. 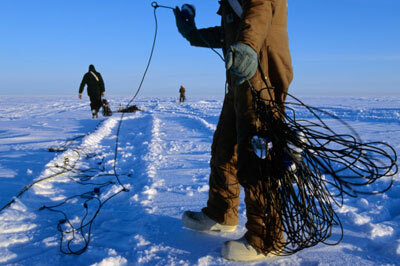 Workers lay down cable for acoustical emitters on the frozen surface of the Beaufort Sea. 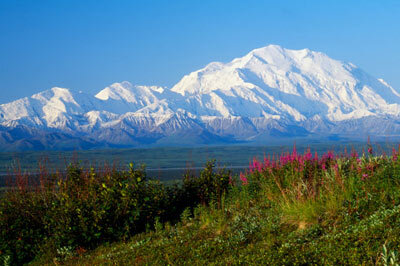 A snowy Mount McKinley overlooks blooming flowers in Denali National Park, Alaska. 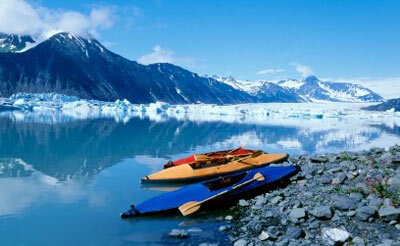 Kayaks sit by a river in Alaska. 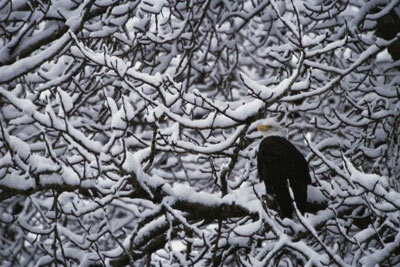 A bald eagle perches in a snow-covered tree in Haines, Alaska. 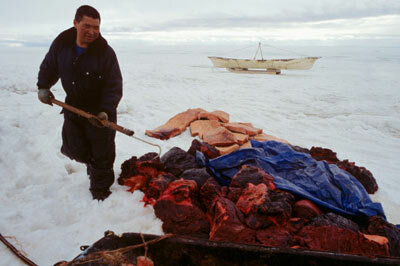 An Inuit man collects blubber from a butchered whale in Barrow, Alaska.